Catalog. Labor and Media Links. Stood Up Against the War." 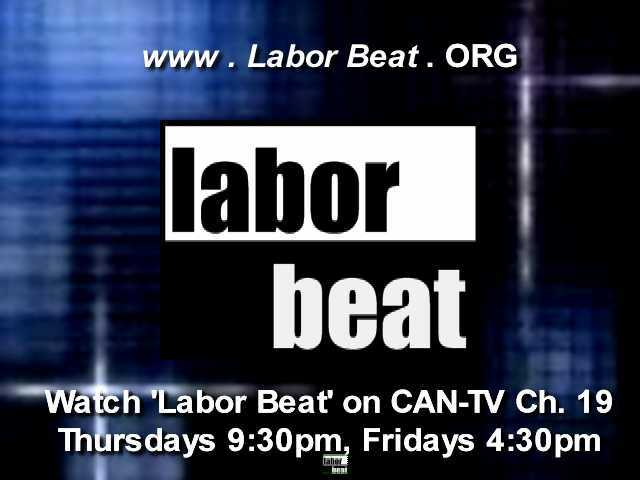 This Labor Beat documentary shows how U.S. Labor Against the War organized at the 2005 convention to strengthen the AFL-CIO’s first ever resolution against an ongoing war. An historic turning point in Labor’s fight against the war in Iraq. Within just 6 days after undertaking the first U.S. workplace occupation since the 1930s, the workers of Republic Windows & Doors in Chicago have defeated both the Republic management and the Bank of America. Also, Coalition of Immokalee Workers announces its 4th victory in 5 years, this time over Subway. Owners’ Views Monopolize Mass Communications. Broadcastable. First Black then slate then countdown! Tests: Labor Beat: The AFL-CIO, The Workers Must Fix It. 1.vob. 2.vob. CWC. UPPNet. The Freightliner 5 in Chicago. .mov.